HCA – Hydroxycitric Acid for fat loss? Hydroxycitric (HCA) acid is the active ingredient in the herbal compound Garcinia cambogia, a type of fruit. Its chemical structure is similar to the one of citric acid – the primary acid in citrus fruits. 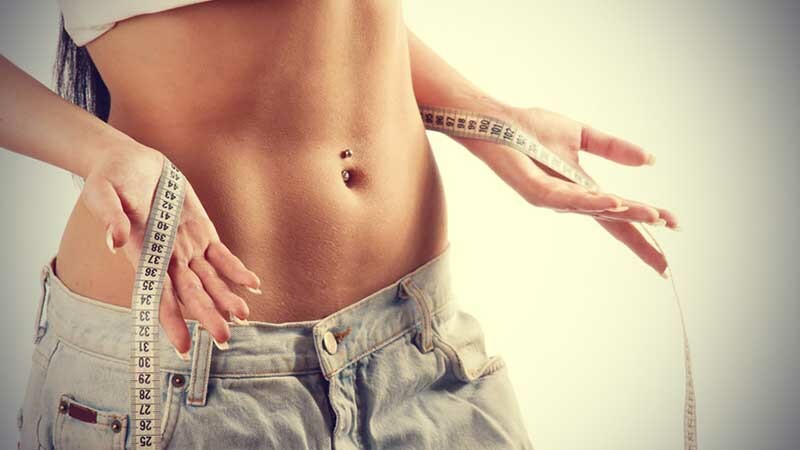 As it may play an essential role in de novo lipogenesis inhibition, because it inhibits the extramitochondrial enzyme adenosine triphosphate-citrate, some sources affirm that hydroxycitric acid can lower body weight and reduce fat mass in humans. Related to this subject, animal studies seemed to prove that hydroxycitric acid reduces appetite by raising the amount of serotonin, a neurotransmitter thought to affect appetite control, in the body. However, with the objective of proving if this property is available also for humans, a twelve-week double blind placebo-controlled trial was performed in the Department of Medicine and Obesity Research Center of St Luke’s-Roosevelt Hospital, and in Columbia University College of Physicians and Surgeons, New York. It was practiced over a group of overweight men and women – body mass index [weight in kilograms divided by the square of height in meters], approximately 32 kg/m2. Subjects were randomized to receive either active herbal compound (1500 mg of hydroxycitric acid per day) or placebo, and both groups were prescribed a high-fiber, low-energy diet. The treatment period was 12 weeks. Basically, the fat loss occurred between the two groups during those 12 weeks was statistically very similar, since patients in both groups lost a generous amount of weight: P<.001. There were no significant differences in estimated percentage of body fat mass loss between treatment groups, and also treatment group did not influence the fraction of subject fat loss. Although other human studies have been performed, giving mixed results on appetite reduction, none of these is as methodologically strong as the one previously mentioned. Some of them showed little or no effect, while others reported a 15% to 30% decrease in food intake. In fact, many of them used a similar calorie-restricted diet and a similar amount of hydroxycitric acid as the trial performed in New York. However, the double-blind study used a high-fiber diet not used in the prior studies. So it leaded to the hypothesis that such a diet might limit absorption of hydroxycitric acid. Future studies that measure blood levels of hydroxycitric acid are necessary in order to check whether the supplement was absorbed or not. These would resolve this issue and finally prove or disprove the effectiveness of hydroxycitric acid in fat loss in a reliable way. Regarding all the doubts that results of the trials have caused, a group of Dutch researchers decided to leave them behind for a while, and study the possibility of hydroxycitric acid affecting glucose absorption. As it is a key component of metabolism, the results in case of being positive would have some sort of relation with the fat loss field. The study was performed on rats, and its reliability seems accurate, since was published by the American Physiological Society. So rats were administered hydroxycitric acid prior to “mimicking a meal by infusing sugar into the stomach,” according to the lead researcher, Peter Y. Wielinga. Dr. Wielinga explains the group that had no hydroxycitric acid, had a much lower blood sugar increase, and it was finally absorbed after two hours. However, the type of sugar that was used is normally absorbed within about 20 minutes, but it took over 2 hours after the hydroxycitric acid ingestion. Apparently this lowered process reduces the high peaks of glucose, which otherwise would require the body to produce a lot of insulin to deal with the ‘meal’. Hence, this delay is quite positive. Although hydroxycitric acid fat loss action remains still unproved, finding this delayed absorption might be a useful phenomenon to follow up. Questions such as “why is it delayed and how might this affect humans?” are being asked by the group of Deutsch researchers, which wonder also how this will translate into humans in terms of dosages. So all these facts indicate there is still a lot of more serious research to be done, since this new property may give a hope to hydroxycitric acid.